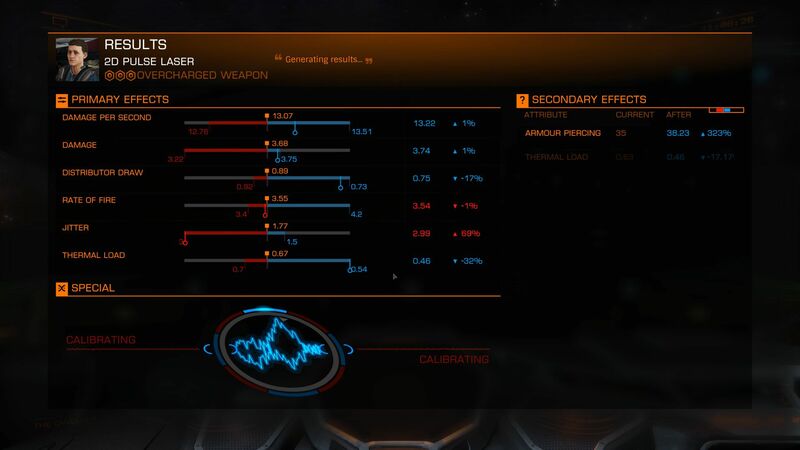 Welcome to the Elite Dangerous Newsletter #122 - The Road to Beta Part 3. This week, we're giving you more details about Elite Dangerous: Horizons on Xbox One, continuing our Countdown to Beta series with information on the engineers themselves, showing off some more firepower with the experimental modifications, catching up with the latest GalNet news, and much more. Pick up the Elite Dangerous: Horizons Season Pass today for £24.99, €33.99 or $37.99. 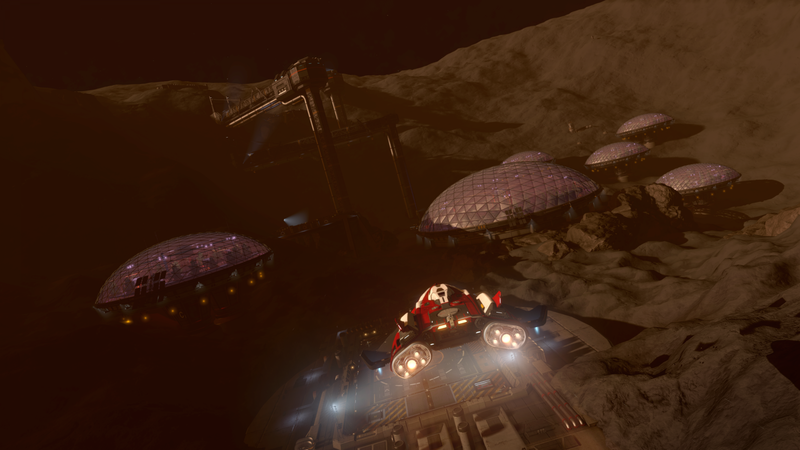 Elite Dangerous: Horizons for Xbox One will launch in quarter two of 2016, featuring both 2.0: Planetary Landings and the forthcoming 2.1: The Engineers expansions. 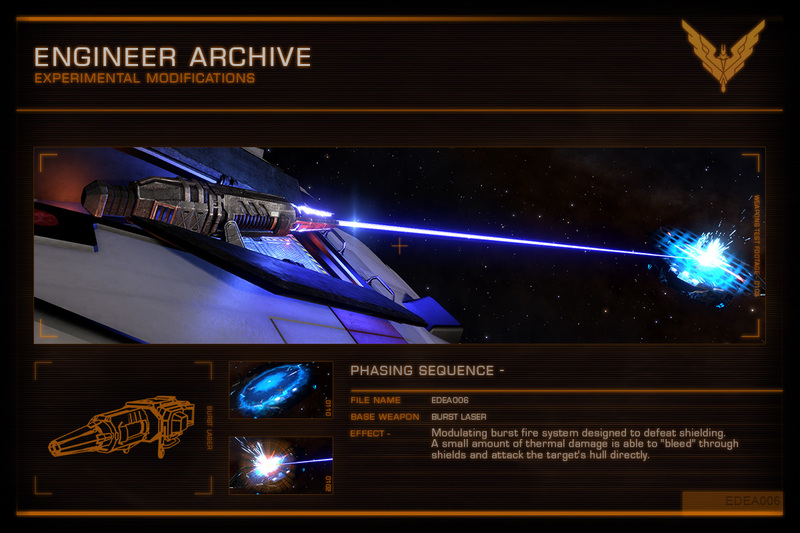 Elite Dangerous and Elite Dangerous: Horizons are fully back and forward compatible with one another. 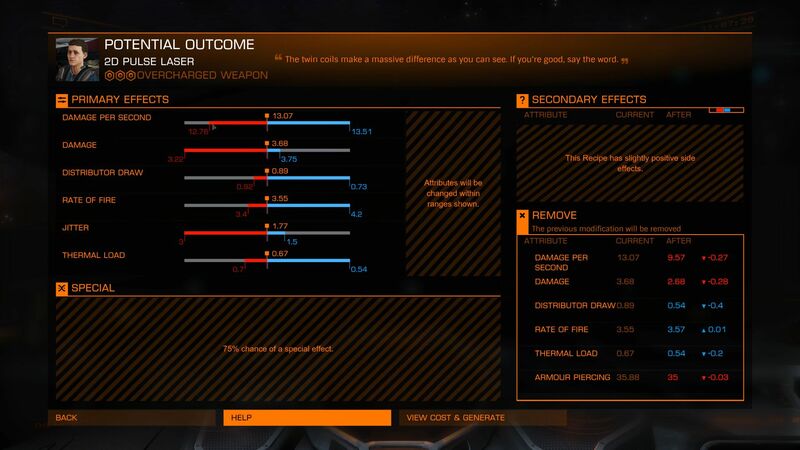 All players who upgrade to Elite Dangerous: Horizons will retain their in-game progress and all players will fly together in the same shared galaxy. Click below to see the Xbox One trailer. In this week’s countdown to beta feature we will focus on the stars of the 2.1 Engineers release – the engineers themselves! Engineers is an all-encompassing name for a disparate group of people that exist on the outskirts of civilised society. They shut themselves away, coming up with weird, amazing, and often useful contraptions. Some of these modifications are even safe to use. Many of the engineers are those that rebelled in their earlier years, but now support those with similar inclinations to themselves. They are inveterate tinkerers, coming up with all sorts of at times outrageous modifications to what would otherwise be standard pieces of equipment. Such engineers have existed since the beginning – when humanity first started using tools. Whether it is attaching a bit of sharpened flint to a wooden stick for better mammoth-killing, a longer bore cannon with extra charge on an ancient earth sea ship, or a modified waste gate in a turbine on a Huey helicopter to get that extra power boost in battle, engineers have existed through the millennia. They are often contrary people with strange requirements, and the thirty fourth century is no different. If you’re careful and gain their trust and respect, you too can benefit from their tinkering – but be aware, no two modifications are exactly the same. What could possibly be growing in these biodomes? Tod McQuinn earned his nickname ‘The Blaster’ from a successful season in the CQC Arena. 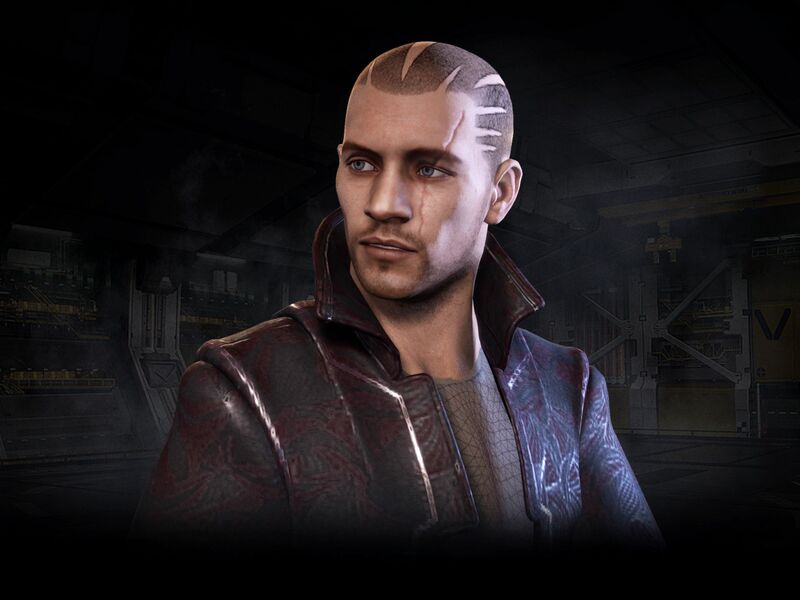 Since then he's garnered further fame as a bounty hunter, flying a Fer-de-Lance with seriously overpowered multi-cannons. He's always happy to help fellow bounty hunters. For his current venture he's teamed up with some of his old CQC friends to form a custom modification enterprise. Tod the blaster McQuinn as he appears in the beta. His appearance has seen some development since the concept art we showed earlier in the year. The Dweller is a mysterious contact in the Aganippe underworld. No-one knows his background, and he and his small group of mysterious like-minded individuals closely guard his identity, and that of their best customers. He is renowned for custom modifications for local criminal elements. He is known to help outsiders who have the right contacts and operates an extensive workshop facility. They are also said to grow their own variant of Onionhead for private consumption. Rumour has it they did a deal with Georgio Algeria or one of his entourage to help them in their fight against the Federation. See images of The Dweller in the engineer flow example below. How do I find an Engineer? Gaining an Engineer’s services requires establishing a relationship with them. You will gain knowledge about the first few from public sources. Other engineers will reveal themselves through invitation – particularly from other engineers, once you establish a good reputation with them. Each Engineer has a different background, and that will affect the commanders he or she will deal with. Some will look into the commanders' background – see if they’re an explorer perhaps – before they’ll deal with them. These prerequisites vary across commander’s roles. For example, in the The Dweller’s case he deals with criminals, or those at least familiar with the underworld, so you will need to have knowledge of a number of black markets. Once you have passed the requirement test, the engineer will invite you to their base. At this stage their location will also be added to your galaxy map and you will have permission to land there. Once invited, you have to complete an initial contract to use the Engineer’s services. Again this relates to their personality and often feeds into their specific activities. For example Liz Ryder loves explosives and is currently amassing enough land mines to destroy a small moon. Whether that’s what she actually plans to do with them is anybody’s guess! These initial contracts can be physical items, like the land mines, but can also take a more intangible form like combat or bounty bonds to prove that you’re worth dealing with. Engineers each have their own surface bases. These are quite different from surface starports. Many began as secret bases, embedded deep in the rock, but as their bases grew they became bigger and bolder, in some cases smelting their own ore – something very hard to hide from space! They each have their own jurisdiction, and it’s a good idea to not commit crimes in their areas - their willingness to work with you is reputation based, remember. How does Engineer crafting work? When the initial contract has been fulfilled, the Engineer will let Commanders make use of their particular services - the basis of which are the upgrades that they can provide. Typically these are focused on their individual specialisations, although some also offer low grade upgrades for a wider range of weapon or module types. 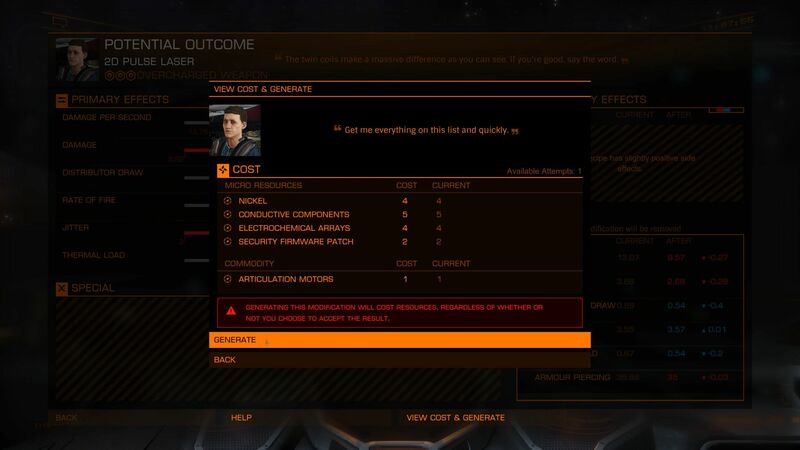 All upgrades come in up to five different grades – as you develop your relationship with the Engineer they will give you access to higher and higher grades of upgrade. Building your reputation will also make the Engineer more likely to tip you off about other Engineers in their network. Each upgrade consists of a blueprint which contains the items or information that the engineer requires to complete that upgrade. Some of these items relate directly to the upgrade, but others are for the engineer’s own benefit or secret project. The blueprint defines the changes that will be applied to the weapon or module being modified. These changes have positive and negative consequences, and the Engineers trade is more of a black art than a science, so results can vary with each attempt. 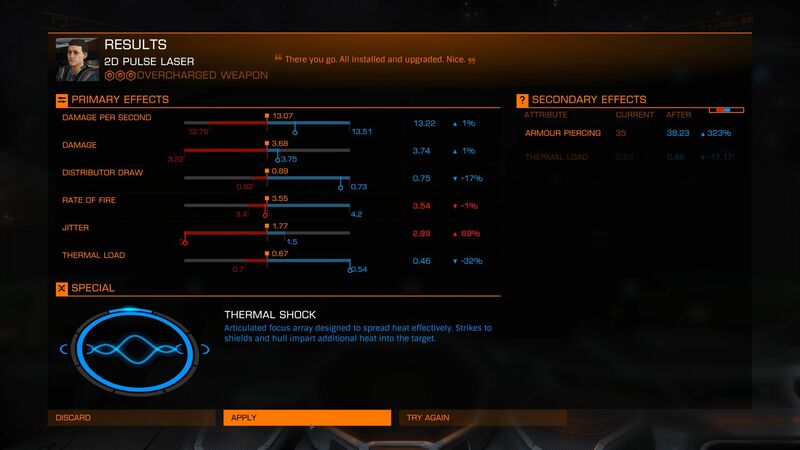 There is a small chance that the engineer pulls something special out of the bag and is able to add a special effect, which can add specific abilities to the upgrade, like the special weapon effects we’ve shown in recent newsletters. Assuming that you’re happy with the result this upgrade will be fitted, or you can choose for the engineer to abandon the upgrade and try again, as long as you have the required resources. What else do Engineers do? 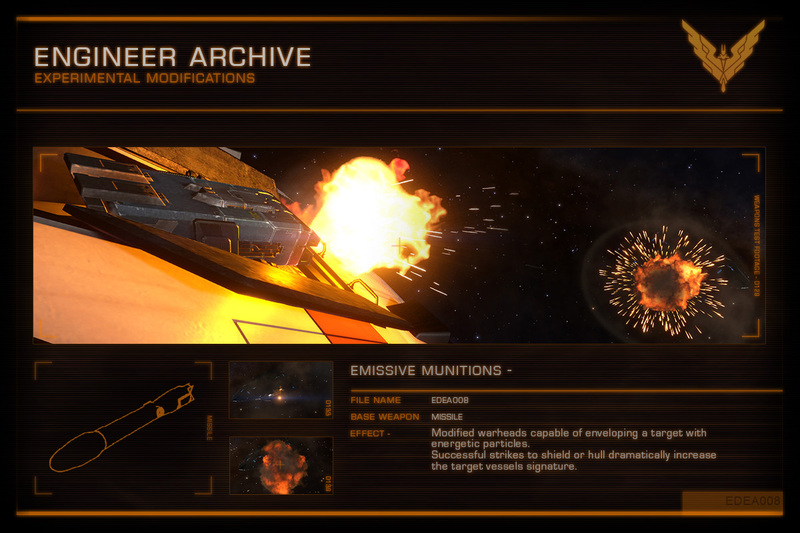 As well as crafting upgrades, some have their own stock of specialist equipment, such as Professor Palin and his recent development of the corrosion resistant cargo racks that can safely carry the elusive alien artefacts – that were developed with the support of Commanders in the recent community goal. We’re sure you’ll develop a great relationship with one or more of the Engineers, and we’ll see many great new weapon variants spread through human space and beyond in the next weeks and months. We'll be talking through the interactions with the Engineers on Tuesday's livestream. See below for more information. 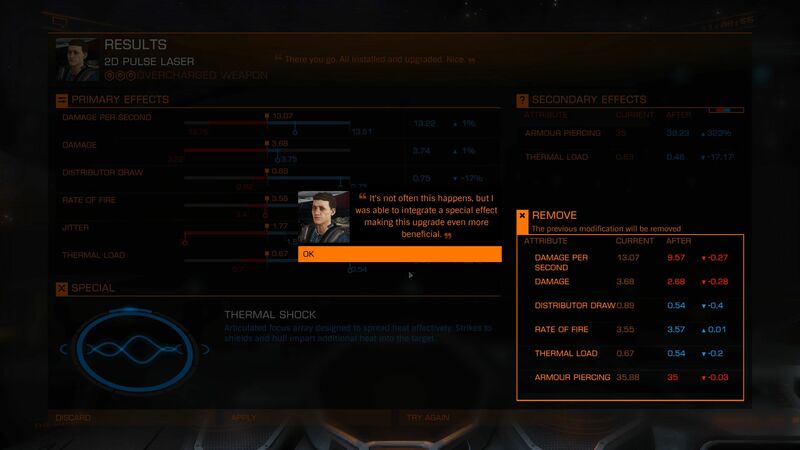 The Engineers (2.1) is the next huge update in the Elite Dangerous: Horizons season of expansions, which adds Loot and Crafting, the Engineers themselves and other tweaks that add a new dynamic to the way you approach every aspect of Elite Dangerous. 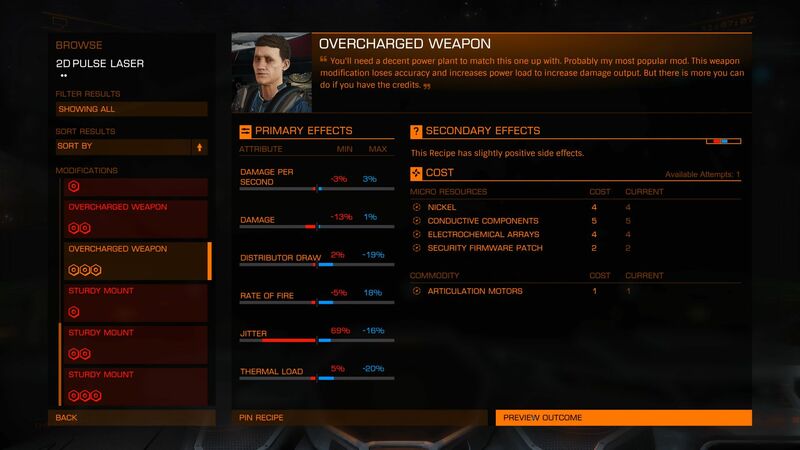 Improve and upgrade the stats on every module of your ship, and add rare, experimental effects to your weapons, such as the modifications shown below. For the last of our countdown to beta miniseries, lead designer Sandro Sammarco and senior programmer Mark Allan will be explaining how your interactions with Engineers will work, and answering your questions from the forum. A thread will be created shortly after this newsletter goes live, so visit our forum to add your questions. The stream will be on Tuesday May 3 on our official YouTube channel at 7PM BST. On the latest livestream, Community Manager Edward Lewis was joined by mission designer Adam Bourke-Waite to discuss the changes coming to the missions in the 2.1 beta. 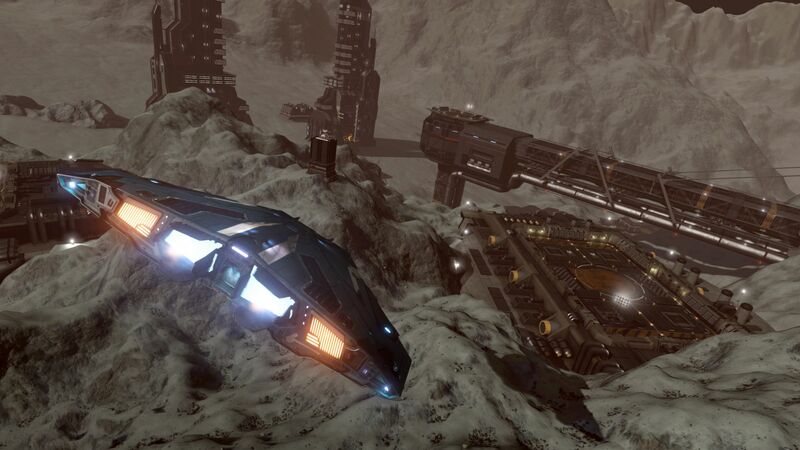 Lead designer Sandro Sammarco also stops by to talk about some of the experimental modifications that you can acquire through contact with the engineers, and we show off in-game footage of one of the engineer's bases. Click the image below to see the stream in full. Want a place to watch all of the videos in one place, completely uninterrupted? Then we made a handy playlist for you. All of the videos from the Road to beta livestreams will be uploaded to this playlist - so make sure you visit the channel regularly. 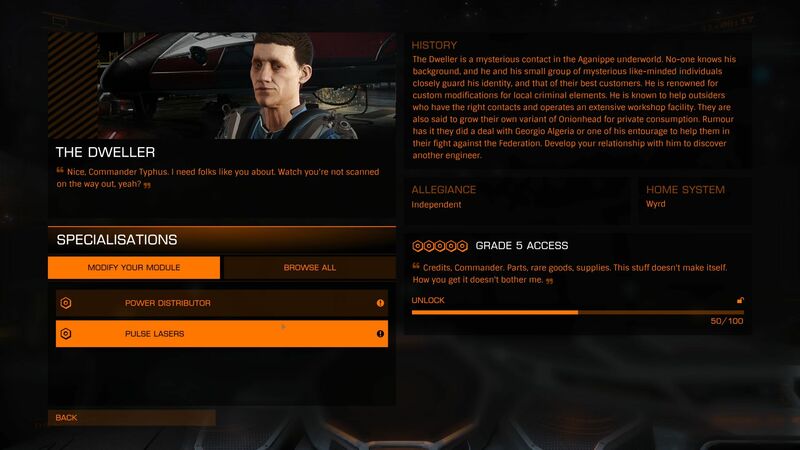 Welcome to our weekly roundup of news stories and events in the Elite: Dangerous galaxy. Former Federal president Jasmina Halsey has launched an appeal for exploration data. According to a member of her personal staff, the former leader believes the data will prove there are super-intelligent beings living in the depths of space. The Azaleach Partnership has agreed to coordinate the campaign on Halsey's behalf, and to reward pilots who deliver exploration data to Leoniceno Orbital. Authorities in Morrina have reported that the system has been badly affected by recent conflicts, leaving many citizens without water or power. In response to this, the Spinward Marches Alliance Concern has launched an appeal for essential supplies. The organisation has placed an open order for basic medicines, water purifiers and power generators, and has promised to generously reward pilots who deliver these commodities to Beaumont Dock. The Sovereign Justice Collective has confirmed that it has received sufficient quantities of titanium to carry out its upgrade programme at Greeboski’s Outpost. Hundreds of independent pilots responded to the appeal by delivering the much-needed material to the Phiagre system starport. The success of the campaign means a brighter future for the people of Phiagre, and an outpost with state-of-the-art services and facilities. To celebrate William Shatner's voice pack Orion, the guys at HCS are giving Elite Dangerous players the chance to win a fantastic Shatner-signed bundle. We have a signed copy of the book Leonard, a signed Elite Dangerous poster and a signed picture of Shatner himself. To be in for a chance at winning, all you have to do is email community@frontier.co.uk with the subject heading 'HCS Orion Competition', telling us what you'd ask William Shatner if you had the chance to meet him. We'll pick one winner at random before next week's newsletter and let the winner know as soon as they've been chosen. The Elite Dangerous and Elite Xbox One subreddits continue their joint AMA series this week with a few new guests coming along for you to ask them anything. 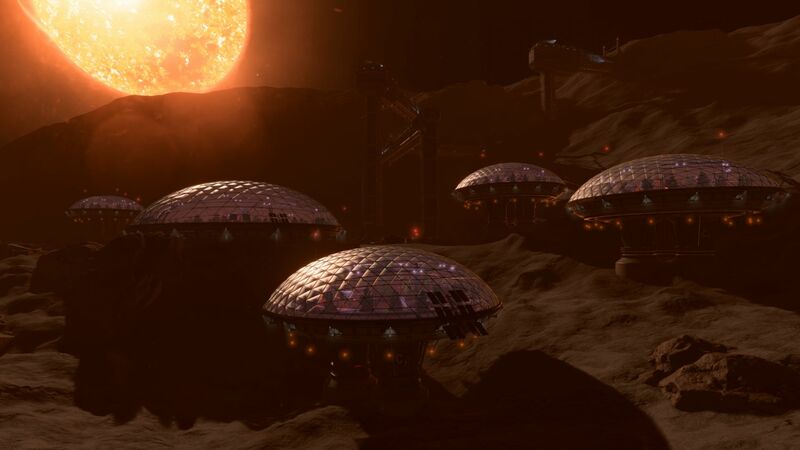 CANONN RESEARCH - Founded by the eponymous Dr Arcanonn, it the largest and most active scientific community throughout the bubble, investigating strange objects and phenomenon. Their never-ending mission is not just to uncover the truth about the Unknown Artefacts, but all mysteries throughout the galaxy. THE DIAMOND FROGS - Performing an honest day’s work for food, and killing only for money, the enigmatic band of mercenaries appeared in the latter half of 3301, a year future historians will surely agree is "when it hit the fan." SIRIUS INC - Lead by their eccentric CEO, the mega-corporation embrace sound business practices, technological progress, and sustainable expansion, while maintaining peaceful societies through high-quality markets and Augmented Reality tools. Leoniceno Orbital, Azaleach - Deliver Exploration Data to Leoniceno Orbital in the Azaleach system to help validate Jasmina Halsey’s claims. Beaumont Dock, Morrina - Deliver Basic Medicines, Water Purifiers or Power Generators to Beaumont Dock in the Morrina system to help rebuild the war-torn system. Since being discharged from the medical centre at Leoniceno Orbital, former Federal president Jasmina Halsey has repeatedly spoken about the allegedly transcendent experiences she had while drifting through space. The former leader purports to have seen “the true architects of creation” and to have been shown what she describes as “the infinities of the cosmos” – assertions that, along with her slowed speech, have seen her condemned as mentally unstable by some commentators. The Azaleach Partnership has agreed to coordinate the campaign on Halsey’s behalf, and to reward pilots who deliver exploration data to Leoniceno Orbital. The Morrina system has had a rough time of late, with repeated civil wars and rampant criminal activity bringing the system to its knees. Now that the dust is beginning to settle, the Spinward Marches Alliance Concern is stepping in to rebuild the system. The organisation has launched an appeal for Basic Medicines, Water Purifiers and Power Generators to help those affected by recent conflicts. 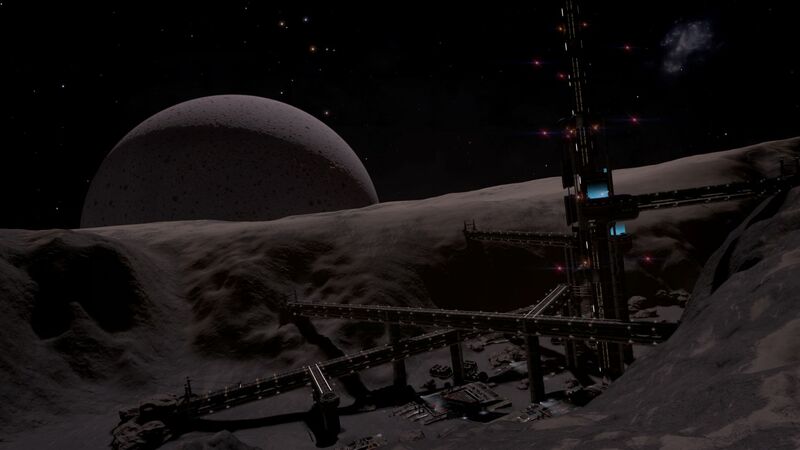 The organisation has promised to reward those who deliver the much-needed commodities to Beaumont Dock in the Morrina system. The two campaigns are scheduled to begin on the 28th of April 3302, and will run for one week. If the final targets for a campaign are met earlier than planned, that campaign will end immediately. It’s a time to help others and look for answers. Fly safe, Commanders! The message in this communications video is simple: “We Are EXO”. Commander Ogge1225 nearly had a heart attack this past weekend when he nearly lost it all to a station.....wall? Oh wait, scan detected! Tense moments! That’s it for Newsletter #122. Please don't reply to this email; this address is not monitored. Instead you can get in touch with us at community@frontier.co.uk with any questions about the newsletter. Please use our support page: http://support.frontier.co.uk if you have any support-related queries. Click for the latest Game Manual, Quickstart Guide and Pilot Training Videos. Want to read our previous newsletters? Check them out here. Until next time, fly safe and Right On, Commander. Copyright © 2016 Frontier Developments plc, All rights reserved.